For almost 20 years, online gambling has been a popular pastime and hundreds of operating casino bingo and betting sites have attracted players over the years. With leading sites earning recognition, awards and being known for offering the highest payouts, players have many choices when they wish to engage in exciting online gambling action. The biggest sites have evolved over the years and today, many of the leading companies are new to the industry, quickly gaining the trust of players and the respect of the entire industry. The list of the top 10 biggest gaming companies changes each year, but some of the most competitive brands still rank on the list. Our first year of running this report was back in 2015 and while some of those large companies remain on this year's list, several new casinos have emerged and quickly risen in rank to become leading choices for players. 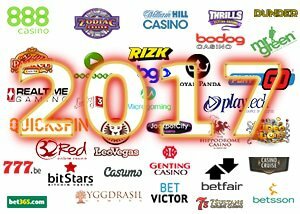 We take a look back at this year's top performers in 2017 and present the list of the biggest online gambling names in 2017 based on market cap. In 2015, 888 Holdings ranked #10 on the list, but on the 2016 Top 10 list, the company was removed from the top 10 position, being replaced by Rank Group. In 2017, 888 Holdings is back on the list in the tenth position once again. In the first half of 2017, 888 Holdings reported an amazing 9% increase in revenue, rising from $262 million to $270.1 million. 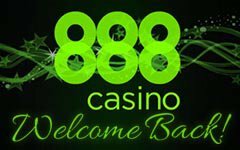 Throughout the rest of the year, the organization that operates 888 Casino, Poker & Sport, Ladies Bingo, 777 and other brands, continues to enjoy growth in revenue and delivered an amazing experience to players from all over the world. 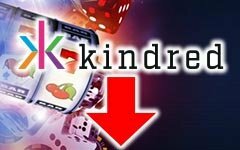 Kindred Group started out as Unibet back in 1997 and for many years, it has been a top choice for gamblers. Kindred is one of the fastest growing companies in the United Kingdom and is a period of three months during 2017, Kindred enjoyed a record-setting revenue of $193.6 million, which was a 36% increase from the previous year. Earnings also enjoyed a spike during the 2017 year, rising 38% from 2016. The 2017 year was one to remember as the company received multiple awards, including the EGR Award for the Slots Operator of the Year. The Sweden-based operator continues to grow and offer a large portfolio of games to players and offers a reliable and trusted platform that is eCOGRA certified. While Kindred did enjoy some great gains during the year, it fell in position on the top 10 list from a rank of 4 last year to the current position of 9. 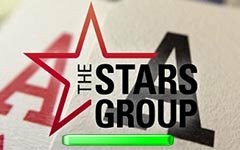 The Stars Group maintains its position from 2016 and remains in the 8th spot on the top 10 list. The group is the largest in all of Canada and while it remains successful, it has fallen several positions over the years. In 2015, the Canada-based company ranked 3rd with a worth of $3.62 billion. Despite the fall to the 8th position, the ex-Amaya brand remains the leader in the online poker world with it'sflagship brand, PokerStars. Now known as the Stars Group, Amaya remains a leading name in the industry and offers an extensive game catalogue that can be found at several of its top-notch online casino, poker and betting sites. 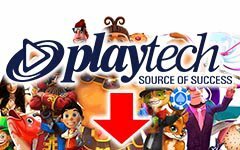 For years, Playtech has been an industry leader, but this year, the company fell from the 3rd position to 7th. The performance for the year fell short of projected numbers and the UK-based organization believes this was due to a slowdown in Asia. Despite falling in rank, Playtech casinos remain a top choice for players around the globe, particularly in the UK. The software developer is known to release some of the most thrilling games in our space and is also known for the high-quality live dealer games. Since 1999, Playtech has been a powerful company in the online gambling industry and is still a name that is recognized by bettors all over the world. William Hill is perhaps one of the oldest operating companies to hold a spot on the list and while it has fallen from the second position last year, the company remains one of the largest in the industry. Over the past two years, the company has seen a decrease in its market value, falling from $5.17 billion in 2015 to $3.86 billion in 2017. 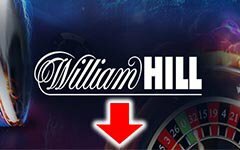 William Hill's online casino was once the leading gambling site in the UK, but has been replaced by newer and larger casino sites. 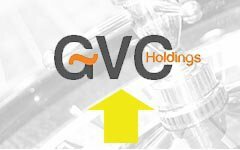 GVC Holdings was a new addition to the list in 2016 and this year, the company has risen two spots to hold the position of #5. In 2016, GVC has a worth of $1.92 billion and that has risen to an amazing $3.95 billion for 2017. This is a big sports betting and gaming group that operates some of the most recognized sites in the industry, including Bwin, PartyPoker and Foxy Bingo. 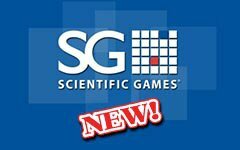 Scientific Games Corporation (SG Gaming) is a newcomer to the top 10 list this year a market cap worth over $4.57 billion. Despite its massive presence in the land-based sector, Scientific Games was omitted from our previous year's list due to its limited exposure on the internet. With its recent acquisition of NYX Gaming Group in 2017 along with the increased exposure of some of it's other software brands, including Barcrest and Bally Technologies, SG Gaming now has a substantial presence online and slides into our number four position this year. Based in Las Vegas, Nevada, the company provides a wide array of gaming products that include table games, iGaming and iLottery products, electronic gaming machines and dozens of the most recognizable big-name Vegas slots online. Ladbrokes is a well-known name among gamblers and the company quickly jumped to the top of the list. In 2016, the company has a worth of $1.86 billion, which was drastically increased to $4.78 billion in 2017. This is a leading brand in the UK and Ireland and Ladbrokes Casino is one of the largest in the UK, offering a huge array of Playtech games. In 2017, GVC Holdings Plc made an offer to present Ladbrokes shareholders to 32.7 Pence in cash or 0.141 GVC shares. 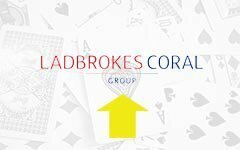 GVC will be acquiring the Ladbrokes name and that will be completed within 2018. 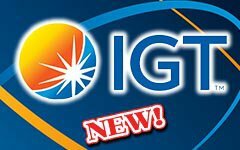 Best known for dozens of the top Vegas slots games featured in land-based casinos around the world, IGT has made a smooth transition to the world of online gambling, now offering hundreds of titles at leading online casinos in Canada, the UK and other regulated markets around the world. Since becoming more prominent in the online space, we've decided to now include it in our list of largest online gambling companies in 2017 with a worth of $5.46 billion. For years, players who have enjoyed games like Siberian Storm and Cleopatra in Vegas will now be able to enjoy these great titles online. Coming in at #1 is Paddy Power, an amazing online gambling company that also held the first position in 2016. The stock's market cap has decreased from $11.96 billion in 2016 to $9.98 billion in 2017, but it is still the highest ranked in the industry in terms of revenue, growth and worth. 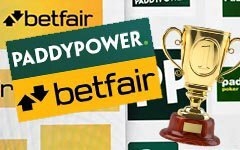 Paddy Power offers a massive array of games from Playtech, IGT and other top-rated providers and is one of the most popular sites for players seeking trusted and fair games. Rank Group plc ($1.23 Billion) - While Rank Group plc did not make it to the top 10 list in 2017, it did hold the 10th position in 2016. This company is one that is respected and known to offer exciting casino and bingo games. As one of the largest gambling companies in 2016, Rank Group has only had a slight drop in worth from $1.36 billion in 2016 to $1.23 billion in 2017, earning it an honourable mention as being one of the larger companies to be providing gaming services online. Betsson AB ($1.10 Billion) - Betsson is a well-known name among many gamblers from the UK and in 2015, the company held the 6th position on the list of top 10 companies. In 2015, the company has a total worth of $1.60 billion, but it has suffered a decline over the past two years and now has a worth of $1.10 billion. Since 2000, Betsson has been providing secure and rewarding betting experiences for gamblers and it is known to be one of the bigger European gaming sites. *Values are listed are in USD and have been converted using the average exchange rate for 2017 based on Oanda.com's posted rates. The Best Slots for the Holidays - Play them all!